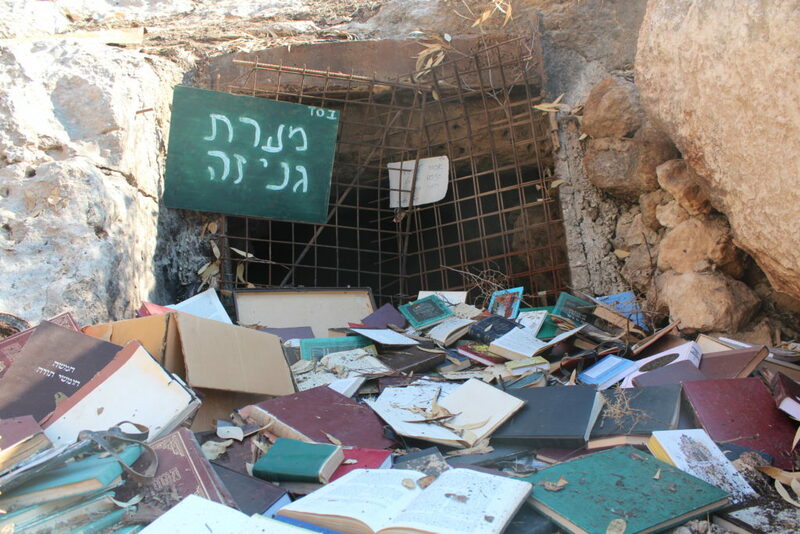 Genizah is referred to as place for storing books or ritual objects which have become unusable. The word is derived from the Persian ginzakh ("treasury"), the root meanings of which are to "conceal," "hide," or "preserve." 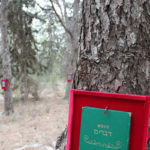 The genizah was usually a room attached to the synagogue where books and ritual objects containing the name of God – which cannot be destroyed according to Jewish law – were buried when they wore out and could no longer be used in the normal ritual. 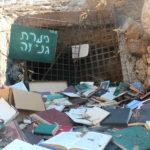 In times of war and forced conversion, Jews used to hide their books in caves or tombs in order to preserve them. 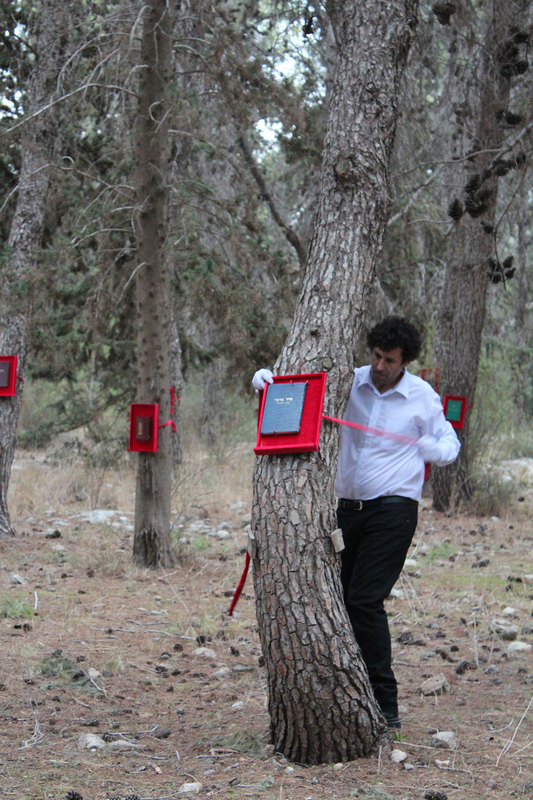 The idea came up to make a library in The forest. 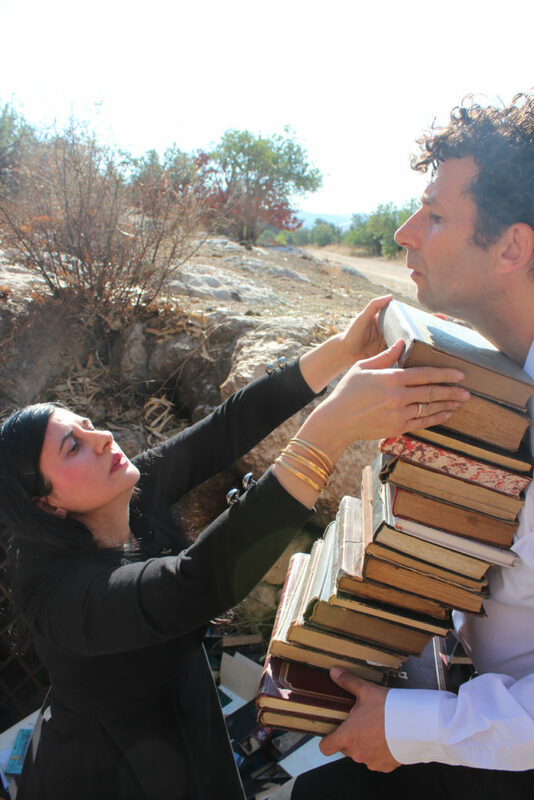 To give each book a holly respect, and clean it. 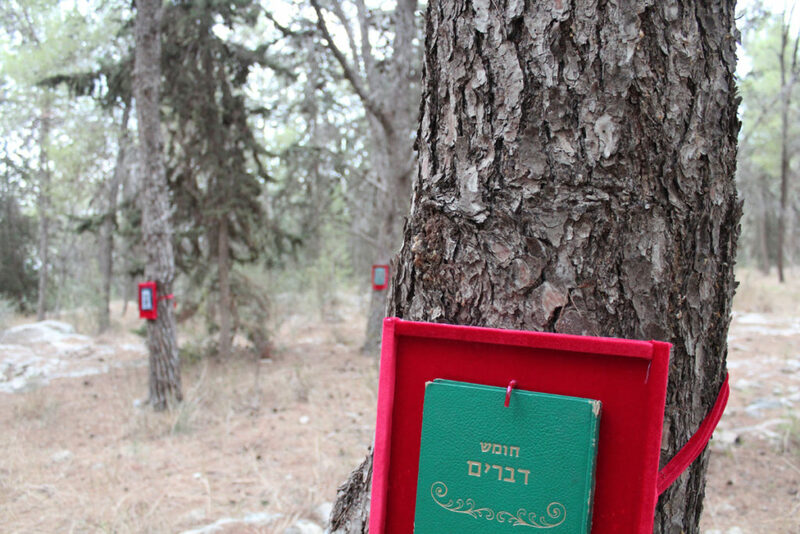 Each book have an object like a shelf, in red velvet, and we put each of this object with books in the forest on each tree. so at the end you see a whole forest with books.